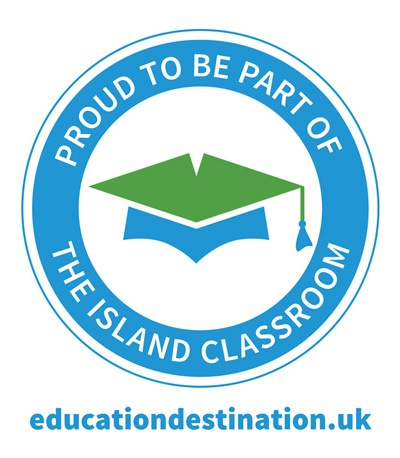 We call the Isle of Wight The Island Classroom due to the incredibly diverse range of outdoor and adventure learning opportunities available to visiting school and tour groups. Browse our subjects list to find out more about the pre-prepared educational resources available and the venues at which they can be utilised. 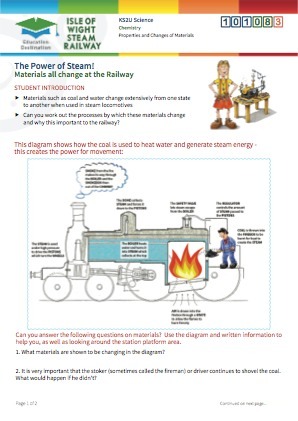 This page shows a summary of the subjects you can teach here in The Island Classroom! Scroll down to find a subject that interests you, and click for more details. Alternatively click on a Key Stage to find available learning resources for that age group (number of resources shown in brackets). Our venues offer a wide range of compelling subject matter for English comprehension, writing and reading tasks. 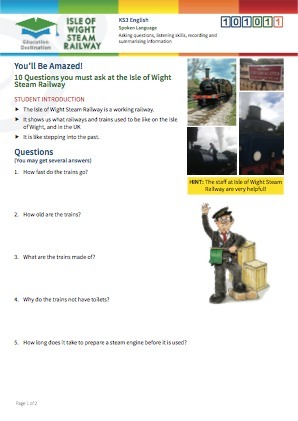 From steam trains to dinosaurs, tigers to space rockets, The Island Classroom has it all. 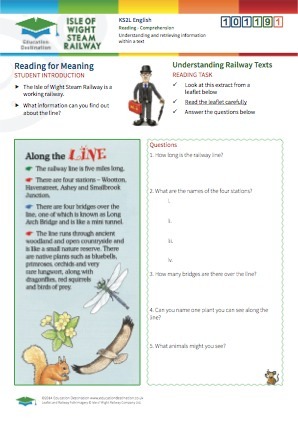 A range of on-site activities complimented by post-visit planned lessons to compound learning. A wide array of fascinating, thought-provoking venues combine to offering a huge variety of opportunities for putting practical mathematical theories into practice. We bring real-life conundrums to inquisitive minds. Science and engineering are strongly embedded in many Isle of Wight based world-famous organisations. It's no surprise therefore that we offer a wide range of visits and tours with a scientific element, from basic material properties through to cutting edge technical design and development. Supporting Art & Design students through inspirational and practical (applied) examples of the subject via a range of quality venues and local businesses. The Isle of Wight offers a broad range of options for studying and practising applied art and design, fine art, graphic communications, use of textiles and photography. The Isle of Wight is host to many fascinating and innovative companies who can impart real-life practical examples of the use of design and technology on visiting groups. From electronic products design and manufacture, through the use of resistant materials, to systems and control technologies. Often referred to as Britain in Miniature, the Isle of Wight offers an extremely diverse study ground for Geography students. Areas of the Island have their own micro-climate, favoured by Victorian trippers, and soft clay & chalk areas suffer badly from erosion. Accessible cliffs and beaches offer perfect hands-on close-up study opportunities. The Isle of Wight is one of the world's most highly regarded fossil and dinosaur locations with internationally important Cretaceous deposits and rare fossil finds. It is also notably rich in archaeology presenting a wealth of opportunities to discover evidence for Prehistoric, Roman, Saxon, Medieval and Victorian life through an array of historic landscapes, preserved buildings and interactive museums. The Island's unique position off the south coast of England has given it a focus for invasion and defence throughout the ages and you can enjoy a rich legacy of maritime heritage, especially shipwrecks and fortifications. With one of the most diverse ranges of outdoor physical, social and team building activities on offer in the UK, the Isle of Wight can help develop positive relationships amongst peer groups and support youngsters in making their own choices. Home to a plethora of businesses, large and small, servicing the Island's tourism economy as well as international aerospace, technology and manufacturing organisations. Education Destination can offer unique connections with businesses willing to host students wishing to study any aspect of running their operations, from finance to IT, marketing to business development and much more. 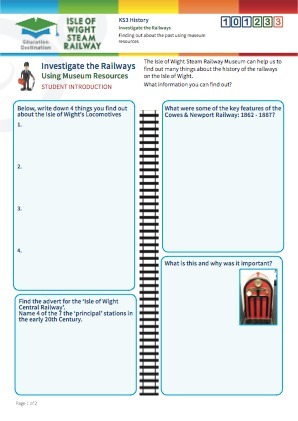 The offerings of some venues and attractions cannot be pigeon-holed into a single academic subject, so this is where you will find a number of truly cross-curricular ideas and activities. Home to some of the UK's leading innovators, The Isle of Wight offers a broad range of learning opportunities for engineering students. Get up close with steam engines and wind turbines, hovercraft and radar systems, boatbuilders and aircraft parts manufacturers to name just a few. Featuring a diverse geology rich in fossils, 110 million years of sediment resulted in a complex mix of chalk, limestone, sandstone and clays which now lay exposed at several key sites around the Island. Explore our cliffs and downs studying rock processes and erosion. Attracting millions of visitors each year, and offering over 44,000 bed spaces, the Isle of Wight supports many hundreds of local businesses and attractions which exist to support these visitors. We can offer unique insights into this important market. A popular tourist destination since Victorian times, the Isle of Wight's economy is still heavily dependant upon travellers from across the UK and the world. Many hundreds of businesses exist to serve this market at all budget levels, and we therefore offer the ideal study package.